Don't let anyone tell you St Tropez is over…here's why. Features Director Andrea Thompson spends the weekend in France’s most glamorous fishing village. St Tropez is one of those locations that everybody should visit once. A host of contradictions, it’s both a charmingly quaint fishing village complete with farmers market in the square and picturesque harbour, yet also a homage to decadence where the richest in the world come to flaunt their yachts and spray vintage champagne at each other in nightclubs. Popularized as a destination by its most famous resident film-star Brigitte Bardot, who caused a storm when she was pictured in a bikini on the beach here in 1957, it remains one of the world’s most popular destinations, despite stiff competition over the years from many younger upstarts such as Ibiza and Mykonos. High season is mid July to late August when the weather regularly hovers around a perfect 29 degrees with a cooling breeze, the harbour is full of jaw dropping yachts, and the entire coast with its white beaches and pumping day clubs are in full-on party mode. It makes for a thrilling long-weekend, but the crowds can be overwhelming and the gridlock of Bentleys and Lamborghinis that snake the tiny streets can mean hours in traffic jams and little joy with table reservations. Savvier travellers go for a week in May, June, September or October when temperatures are still in the mid 20s, the sea still warm and the brilliant sunshine bathes the lush countryside in a warm pink hue. 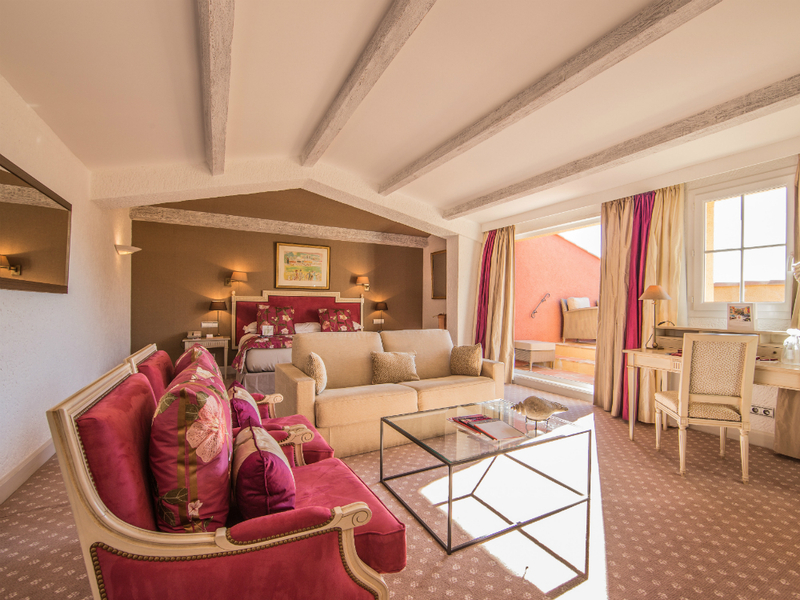 There really is only one place to stay in central St Tropez – The Five Star Hotel Byblos. Book now while the hotel is in celebratory mood (it’s turning 50) and there is a distinct buzz in the air. 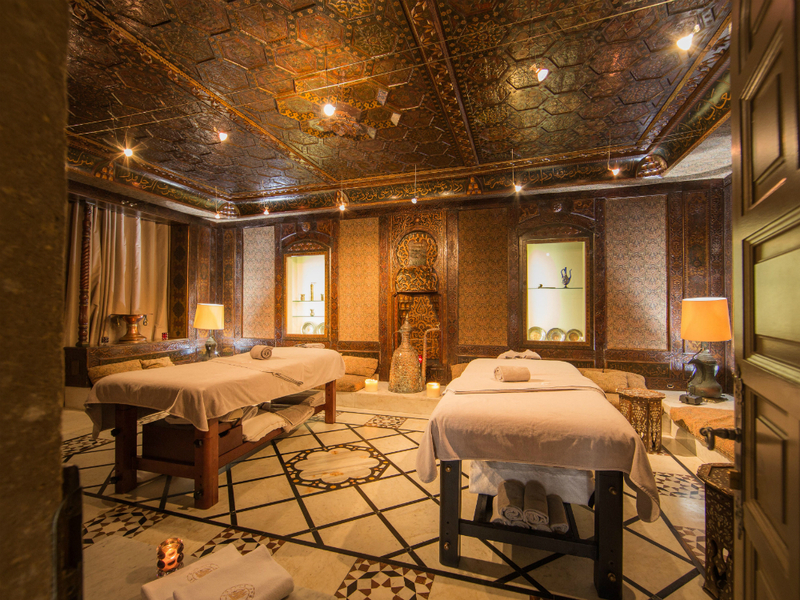 Byblos is bound up in the legend of St Tropez, it’s where Mick Jagger stayed the night before his wedding to Bianca and entertained his VIP guests to a superstar knees-up afterwards in a Moroccan themed room, which is now part of the spa. An obsessed Lebanese businessman built the hotel in the 60s in an effort to attract the object of his devotion Brigitte Bardot. Sadly, she never succumbed to his advances, but the hotel itself is an exquisite homage to unrequited love. 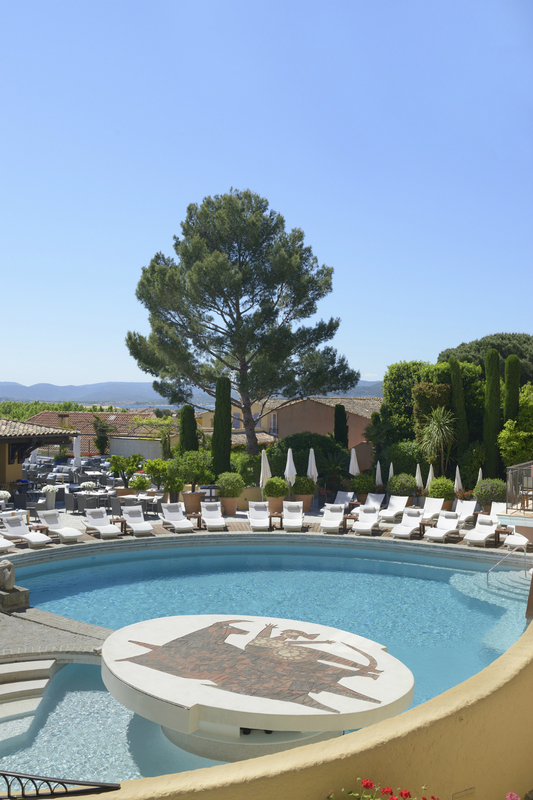 Like a fishing village within a fishing village, the hotel is modelled on the traditional Provençal architecture with an array of little rustic red and ochre buildings around a beautifully serene pool. It is home to a diverse selection of abstract artwork and its own family of peacocks. Its eccentric enough to be unlike any other hotel you’ll ever visit and yet reassuringly 5 star with the food, service and beautiful individually designed rooms. Not to mention a top quality Sisley spa which offers award-winning facials. 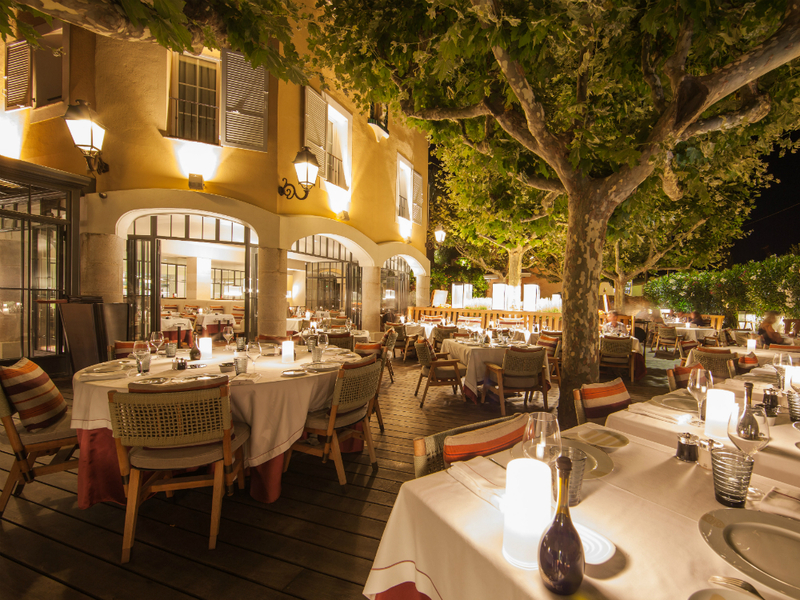 It may be home to St Tropez’s most famous basement nightclub Les Caves du Roy, and the popular restaurant Rivea by Alain Ducasse, but the grounds of the hotel are like a calm sanctuary from the bustling world outside. The overall feeling is boutique and discreet. No wonder this is where the genuine VIPs come to retreat by day and party by night in the club, which operates the most strict door policy in St Tropez (they even refused Tom Cruise and Katie Holmes’ entourage of 10 with the words ‘You two are fine. But we’re not the type of club where you come with your own security!). Big name DJs fly in from around the world to play here and the buzz is incredible.You’ll be dancing on the tables by 2am. Guaranteed. Just a small tip: Don’t go till at least 1am when things get going. One of the huge benefits of being a Byblos guest is that you get guaranteed entry. Reason enough to check in! St Tropez’s most famous beachside restaurant Club 55. This beautifully rustic seaside gem has played host to the biggest A-listers on the planet but the real beauty is its informality. It serves traditional freshly caught local fish and seafood (the lobster is incredible) simply but beautifully cooked and seasoned. The man to know is owner Patrice de Colmont, who has been running the place since the 60s and is always dressed in white linen. He can be seen gliding between tables as he casually juggles a guest list of egos that would leave most restaurateurs on the verge of breakdown. You usually need to book 6 months in advance but if you’re polite, and smile enough, he can be pretty amenable provided you go after the main lunchtime rush. Le Rivea, The award winning Alain Ducasse Mediterranean restaurant at The Byblos hotel is the place for pre-party dinner. The distinctly Italian /French themed menu is based around beautifully balanced little tapas-style dishes – each one more delicious than the last. Don’t be surprised if the head chef appears at your table at the beginning of the meal with a couple of large freshly caught Sea Breams for you to look over. They like to actually show you how fresh the ‘fish of the day’ is here. For sushi to die for, head upstairs to the more informal B restaurant on the terrace of the Byblos by the pool. Tick off our favourite local landmarks. Start the day with a wonder around the port to take in the array of little independent boutiques. Then stop off to pick up a coffee at Senquier which offers the best view of the harbour complete with its multimillion-pound yachts. Most summers you’d be pretty unlucky not to spot one of the regulars such as Bono, George Clooney, Jack Nicholson, or Beyoncé at some point here luxuriating on the deck of a huge yacht or doing a spot of shopping in the boutiques. If stargazing isn’t your thing, wonder through the winding back streets behind the harbour which are dotted with beautiful little galleries and markets for souvenirs. Of course most people come here for the gorgeous white sand Pampelonne beach. Lined with a variety of restaurants and bars, take your pick of spots (but watch out for the nudist area – unless that’s your thing of course). Other attractions include the Annonciade Museum a former 16th Century Chapel, which is one of the top museums for modern art in France, where you can see masterpieces from Paul Signac and Matisse. For a breathtaking view visit the Citadel at the top of the town, where you can find an amphitheatre, walled garden and the best views of the coast. If you’re feeling energetic, take a walk along the coastal path that runs six miles from the old harbour to the northern end of Pampelonne Bay at sunset, to see why so many artists fell in love with this beautiful stretch of France. 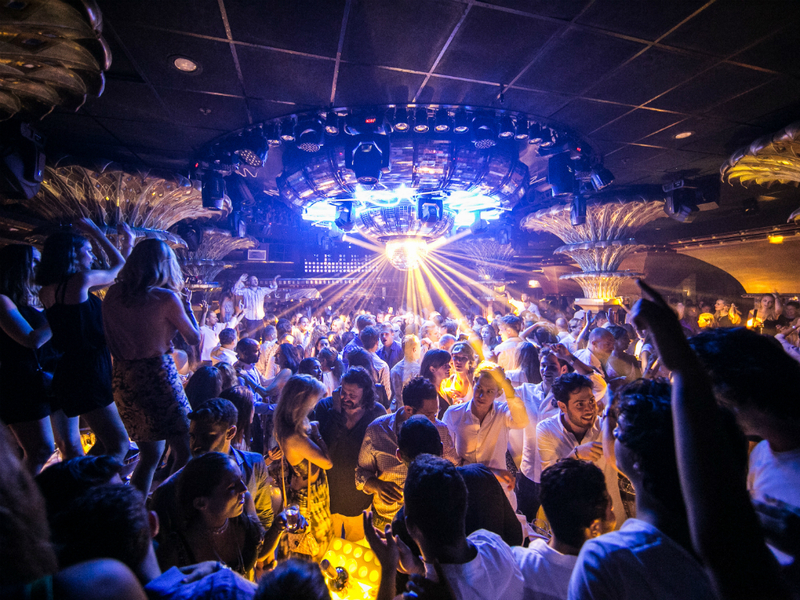 Finally, make sure you get yourself down to France’s most famous club Les Caves du Roy, underneath the hotel Byblos. Take home: Provencal Honey, bottles of rosé, Olive Tapenade, beautifully made leather sandals (which you can pick up in the market) and exquisite French underwear from the town’s boutiques. Download the Byblos App now for a 360-degree virtual tour and more information on the hotel or things to do in St Tropez. Rooms at Byblos start from 340 Euros (285 pounds) per night. EasyJet flies from London Gatwick to Nice with prices starting from £28.49 per person. Flights are also available from Liverpool, London Luton and London Stansted.